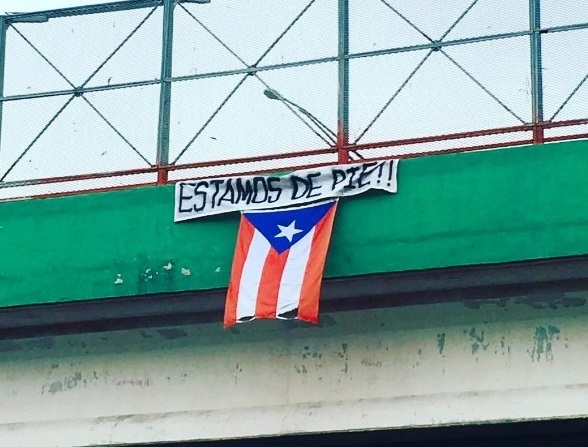 Hurricanes are thought of as “natural” disasters, but the social and environmental devastation wrought upon Puerto Rico by Hurricane María last September is really an unnatural disaster resulting from a long history of colonial subjugation, economic hardship, environmental injustice, infrastructural neglect, and, at the local level, a broken rule of law. Hurricane María affected all of Puerto Rico to some degree, but in doing so the disaster also exposed the vulnerabilities created by ubiquitous socioeconomic inequality and the differential neglect of the island’s rural regions. Faraway from San Juan’s hub of government, politics, and power, Puerto Rico’s South has developed a singular and often overlooked trajectory. The establishment of sugarcane plantations after the island’s conquest by Spain, and later by the United States, marked the South as a site of extraction and exploitation. Indeed, the legacy of the now defunct industry still characterizes this rural coast. Local residents overwhelmingly descend from both the enslaved Africans brought to toil in the fields and the indigenous Taíno who dwelled there. The plantation economic model, which benefitted the owners and dispossessed the workers, is also evidenced in the area’s historically high unemployment levels and poverty rates. The mid-twentieth-century industrialization plan known as Operation Bootstrap marked a turning point for Puerto Rico. This plan, which aimed to modernize the island and stimulate its economy, offered only marginal gains to the citizenry and instead set it on a path of depopulation, unsustainable development, heavy reliance on imported fossil fuels, and even greater economic dependency on the United States. The steady decline of the island’s sugarcane industry and the increasing dependency on food imports meant that thousands of agricultural workers were rendered unemployable. At the same time, in conjunction with the local government, stateside industrial farms began to recruit and employ Puerto Rican agricultural workers. By the end of the twentieth century, Puerto Rican migration to the mainland—both seasonal and permanent—had become a way of life. Integral to Operation Bootstrap’s advancement, the mid-1950s witnessed the emergence in Puerto Rico’s South of oil refineries and the establishment of energy-generating plants. In 2002, the privately owned Applied Energy Systems began operating Puerto Rico’s only coal-powered plant. Jobos Bay, Puerto Rico’s second most significant estuary and a National Oceanic and Atmospheric Administration (NOAA ) reserve, is home to three of Puerto Rico’s power plants. In fact, the vast amount of the electricity consumed in Puerto Rico is generated along the island’s south coast. The southeast is also home to pharmaceutical companies and to two US military training facilities, Camp Santiago and Fort Allen. Furthermore, in the last decade, over 10,000 acres of agricultural lands from Guayama to Juana Diaz have been cultivated with genetically modified seeds and are also sites for agrochemical development and testing. According to a 2017 report, several multinationals, including Monsanto, have set up operations in the region. Residents of the southeastern coastal plain have a complicated relationship with these industrial developments. On one hand, the developments provide jobs in the formal economy; on the other, local residents are often employed only at the lowest levels of salary and managerial positions but deal with the brunt of the impact of industrial activities on local ecosystems and human health. Additionally, employment is often irregular and seasonal, leaving workers in precarious, unpredictable situations. Coupled with unjust working conditions, this situation has brought about the displacement of entire communities to make space for heavy industries in coastal areas. Respiratory health problems are common, and at least some negative health outcomes are attributable to industrial emissions from local factories. Fishers and other ecosystem resource users for decades have reported environmental degradation effects on important natural resources. In summary, local residents receive a limited share of the benefits, but most of the social and environmental costs, of industrial development. Communities adjacent to Jobos Bay have long organized against the ecological destruction of their local environment. In the 1970s, Corporación Bahia de Jobos fought off a Monsanto pesticide plant similar to the one that wreaked havoc in Bhopal, India. Concerned about the already heavy burden of polluting industries in the region, members of Sur Contra la Contaminación (SURCO) were vocal opponents of the plans to build the AES coal plant on the Bay’s coastal wetlands. Yet the local government disregarded their concerns. In the last decade, the AES plant, which generates over 300 tons of coal ash annually, has been mired in controversy regarding the disposal of the toxic coal ash. At the start of the 2017 hurricane season, the AES plant had accumulated a five-story-tall pile of coal ash on its premises. [For pictures of the coal ash pile at the AES-Guayama Facility, click here.] In fact, just before Hurricane Irma struck, the Environmental Quality Board had ordered the company to cover the ashes. The company did not comply with this request, explaining that coal ash “hardens like a rock” when it comes in contact with water. AES was fined $75,000 for non-compliance. Two weeks later, when Hurricane María struck Puerto Rico with 155-mile-per-hour winds, the ash pile remained uncovered. The region experienced widespread destruction and flooding. Because AES is built on a coastal wetland, when local activists went to investigate they were not surprised to find flooding on the company grounds. The coal ash pile looked smaller and cracked, leading them to speculate that the ash had been blown around and that it likely had seeped into the ground and the bay. Three months after María ravaged the island, little has been said or done about the toxic coal ash still accumulated on the premises of AES in Guayama. The company has remained silent. The national and federal governments have proved unresponsive to residents’ pleas that an investigation be conducted to study possible coal ash contamination and its effects. Still, residents have not given up seeking answers. They demand to know whether the coal ash has spread to nearby communities, to the mangroves, or to the Jobos Bay, and whether it seeped into the ground or the aquifer. On December 10, 2017, when Philip Alston, the United Nations Rapporteur on Extreme Poverty, made a fact-finding trip to Puerto Rico, he visited the southeast and heard residents’ testimony about their experiences with environmental injustice and poverty. Similarly, the Inter-American Commission on Human Rights is documenting the ongoing environmental injustices deepened by the hurricanes. It is unfortunate that it took a hurricane the scale of María to bring Puerto Rico’s environmental and climate injustices to international attention. Before the hurricanes struck, 97 percent of Puerto Rico’s electricity was generated using fossil fuels, and the vast majority of Puerto Ricans had little to no knowledge about how the energy they consumed was generated or where it came from. The storms, which destroyed the neglected grid, had the effect of making energy generation and consumption central to the conversation about reconstruction. Once marginal, discussions about using renewable energy sources, such as solar and wind energy, have now become crucial. If Puerto Rico is to transform, rather than rebuild, its power system, renewable energy projects, advocated for and implemented by local residents and energy experts—not by large corporations in collusion with colonial governments—must be central to building a more sustainable and just energy future. * Hilda Lloréns teaches anthropology in the Sociology & Anthropology Dept. at the University of Rhode Island. She is the author of “Imaging the Great Puerto Rican Family” (2014). Ruth Santiago is a community and environmental lawyer who lives in Salinas, Puerto Rico. Carlos G. Garcia-Quijano is an Associate Professor of Anthropology and Marine Affairs at the University of Rhode Island. His scholarly interests include ecological anthropology, cognitive anthropology, and the use of mixed ethnographic methods to understand complex sociocultural categories and their effects on people’s lives. Catalina M. de Onís is an assistant professor in the Department of Civic Communication and Media at Willamette University in Salem, Oregon. Her dissertation, Energy Remix: Decolonial Discourses of Decarbonization, examined Puerto Rico’s energy colonialism experiences prior to the 2017 hurricane season.